Screen Plays is delighted to present this guest blog by Dr. Billy Smart, University of Reading, about Michael Elliott’s 1959 production of Ibsen’s drama for both the stage and for BBC television. Henrik Ibsen’s Brand (1866) is rare amongst television adaptations of stage plays in that it was a drama never originally intended for theatrical production, but as an epic verse drama set out in dialogue as a script to be read. The play contains a scene of a storm at sea and concludes with an avalanche, both seemingly beyond the limitations of nineteenth century staging, and if performed uncut (as on its first staging in Stockholm in 1885), would run for a demanding six and a half hours (Michael Meyer, ‘Introduction to Brand’, in Ibsen, Henrik, Plays: Five, 1986, p. 16). Contemporary critical reaction to the play upon its publication considered it a work of literary, rather than dramatic merit: ‘This poem can only be called dramatic insofar as it is written in the form of dialogue… the play on which the curtain here rises belongs only to the theatre of the imagination’ (Ditmar Meidall, in Aftenbladet, 7 April 1866, cited in Michael Meyer, Henrik Ibsen: The Farewell to Poetry 1864-1882, 1971, p. 53). 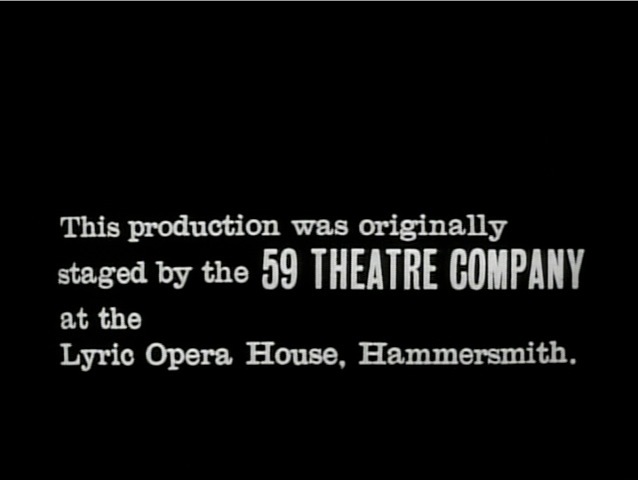 Prior to its staging by the ’59 Theatre Company at the Lyric Theatre, Hammersmith in 1959, Brand had only been performed professionally in Britain for one performance in 1912 (Meyer, 1986, p. 17). The 1959 Hammersmith production was presented for an extended run of several weeks as part of a six month residency at what was then the Lyric Opera House by the ’59 Theatre Company, under the production of Casper Wrede and the direction of Michael Elliott. The season (of both new and classic plays) employed a repertory company of actors, including Dilys Hamlett, Patrick McGoohan, Fulton MacKay, Peter Sallis and Patrick Wymark. Michael Elliott was an inexperienced theatre director, but had worked extensively for television, having spent the previous few years directing plays for the BBC, including a production of Ibsen’s The Lady from the Sea in 1958. Brand was presented in a new translation, intended for performance, written in verse by Michael Meyer at short notice. This version cut the play extensively, the performance having a running time of two and a half hours, including two intervals. The production was staged with impressively bleak and vast mountain sets designed by Richard Negri (see the photograph at lighting director Richard Pilbrow’s A Theatre Project) and required highly complex lighting for the different open air conditions specified in the play, including the sea storm and avalanche (Meyer, Not Prince Hamlet, 1989, p. 164). The role of Brand (who is onstage for virtually the entire play) was a difficult one for Patrick McGoohan to successfully realise, being a character who is presented in a state of heightened religious fervour from the first scene of the play when he appears on an arduous mountain pilgrimage. In previews, McGoohan had played the role at a great emotional pitch from the outset, which left audiences wearied. Elliott decided on the day of the press night to instruct McGoohan to restrain his performance until the final act: ‘He went into McGoohan’s dressing room before curtain-up and, since McGoohan was an explosive and unpredictable actor, asked him to hold back and not release emotionally too early’ (Meyer, speaking in Vince Serks, All or Nothing: Brand in Retrospect, documentary film on the Network DVD of Brand, 2003). This withholding of intensity led to the play’s climactic scene having a galvanising effect on audiences, though Meyer also suggests that this pacing meant that audiences were less engaged in the earlier scenes of the play (Serks, 2003). Meyer also describes the complete effect of the gunshot and avalanche as being created by the full extent of the Lyric Opera House’s auditorium: Gerd’s rifle being pointed towards, and fired at, the front row of the gallery and the increasing rumble of the avalanche reverberating and echoing around both the stage and the audience (Serks, 2003). What is apparent from descriptions of the stage production is that its most successful achievements came from its unique theatricality, and the exploitation of the spatial and temporal circumstances of the Lyric Opera House. When the production was adapted for television, the same sense of vastness could not be recreated on the same scale in the television studio or on the small screen. The domestic audience would be much freer to abandon watching the play than a captive theatre audience, meaning that Elliott’s advice to McGoohan to slowly build his performance might have a different effect on television. The World Theatre series presented a very catholic repertory of plays, with (as its title implied) a strong international bent. A BBC Press Release describes the philosophy behind the series as being to present plays that ‘have been chosen from many sources. They are designed to capture the flavour of international playwriting rather than necessarily represent the greatest plays of all time which are, of course, a matter of individual opinion’ (BBC WAC T66/102/2). The 1959 season offered nine plays by Shakespeare, Buchner, Lorca, Jonson, Brecht, Pirandello, Sheridan, Ibsen and Galsworthy. Being presented in such a repertory meant that a production of Brand might not seem as exceptional a project as one might expect, having been preceded by other European plays that would have been unfamiliar, and might have seemed difficult, to audiences. Elliott’s background in television direction meant that the ’59 Theatre Company had been commissioned to produce two of the plays in the season, his production of Danton’s Death having been transmitted on 19 May 1959. Although no tape was kept of this production, the BBC Audience Research Report (BBC WAC VR/59/273) indicates that it shared many stylistic features with Brand. Viewers reported an unrelenting sense of intensity in the production, realised in a ‘verbosity of dialogue – without relief’, some of the sample found the play to be highly gripping, and to rise to ‘really dramatic heights’, while many others found the production to be ‘too depressing and “heavy” to appeal’. 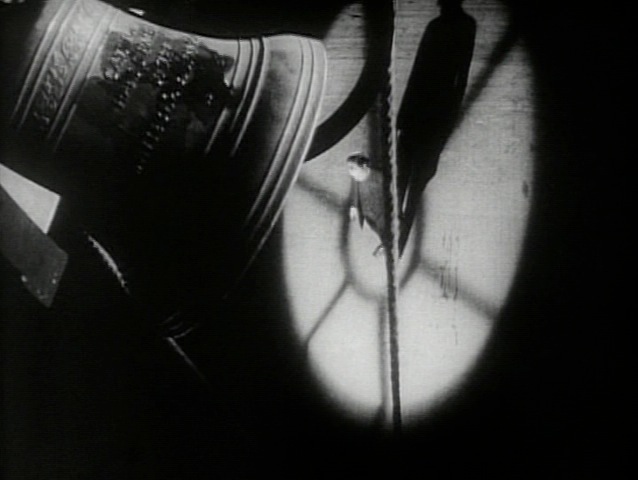 Although the cast were considered to be good, viewers noted a tendency to over-act and to deliver lines too fast, while the austere staging and stark lighting (which appeared to use a greater intensity of darkness and brightness than normal) divided audiences between those who found it disagreeably symbolical and those who found that ‘its visual austerity had heightened the impact of the play by enabling viewers to pay full attention to the words’. 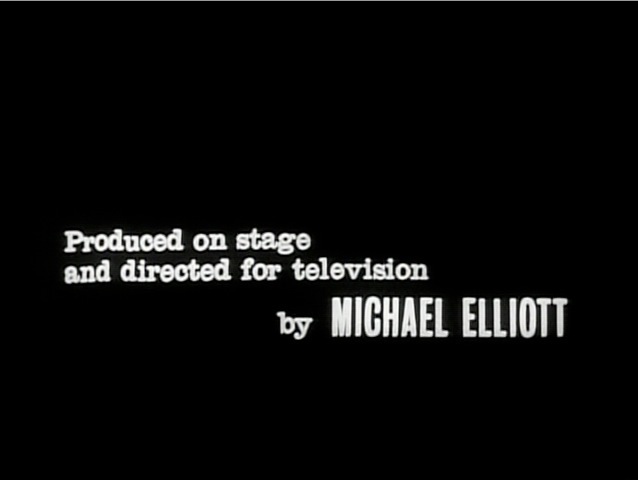 All of these aspects of production are also found in Brand and indicate a particular directorial style and approach by Michael Elliott. Brand was recorded at the BBC’s Riverside studios and, despite the play’s avalanches and sea storms, appears to display little evidence of filmed material edited into the production, an aerial shot of Brand standing in the courtyard of the new church, seen from the vantage point of the bell tower (with a large bell ringing in the foreground of the picture) at the beginning of Act IV, and the final shot of the ghost of Agnes suspended in the black sky, seem to be the only obvious interpolations into an ‘as live’ recording. The design of the production, both visual and aural, adopts a style of starkness and simplicity. The spectacular and inhospitable exteriors of the play (Act I, high in the mountains; Act II, a village by the fjord and a farm above the fjord; Act III, outside Brand’s house; and Act V by the highest farm above the village, returning to the mountain heights) are realised in variations of the same stony, stepped, flooring. This setting is altered for each exterior by the addition of flats around it of mountains, the facades of a villager’s cottage or Brand’s house, and the use of dry ice to convey the altitude of the mountains. To convey the sea, an area of the stones is cleared to show a flat dark floor. The effect of this stark staging is representative, rather than detailed, replicating the experience of watching the play in the theatre. Meyer (Serks, 2003) sees this simplicity of design as being a drawback, the ‘primitive’ television studio conditions of 1959 as being unsuitable for a play of exteriors. While it is hard to see any contemporary television production utilizing similar staging techniques, Gordon Roland’s design does work very effectively in conveying the vastness and inhospitality of the mountain and fjord landscape of Brand. A photograph of the filming of the production illustrates how this effect was achieved. One camera has been moved onto the playing area of the mountaintop and is filming a close up of Olive McFarland as Gerd, recorded overhead by two hand-held microphones on poles. Two further cameras are recording on the edge of this playing area, unable to be manoeuvred any closer to the performance by the raised floor of the staging. The full extent of a very small area of the studio is being shot from a distance to create the impression of vast expansiveness. The studio conditions that precluded realistic exteriors are being instead exploited to create a sparse performance space to draw attention to performance. A similarly unobtrusive effect is created by the adaptation’s supporting soundtrack, which does not use music. A consistent sound effect is used to signify various settings; an icy and cutting wind for the mountain, a storm for the fjord and a bell for the church. No effects of water or snow are used for the set pieces of the storm or the avalanche. The climax attempts to recreate the aural effect of the avalanche in the theatre by Gerd’s gunshot precipitating a rumble, which increases in volume, while Brand and Gerd fall to the ground while the camera is rocked. This final scene could not be described as spectacular. The lack of any snow, or white lightning, combined with the general, rather than specific, threat of the rumble leads the viewer to concentrate upon the responses of the two characters, as opposed to their circumstances. The fast pace of this scene and the excitability of the shouts of Gerd and Brand make it hard to follow the words that they are speaking, making the apocalyptic impression of this scene more general than precise. At the point of Brand’s burial and death, where he has cried ‘Answer me, God, in the moment of death! If not by Will, how can Man be redeemed?’, a voice ‘cries through the thunder’ and answers, ‘He is the God of Love’ (Ibsen, 1986, p.112). In the theatrical production the voice was invisible (though supplied by Agnes). 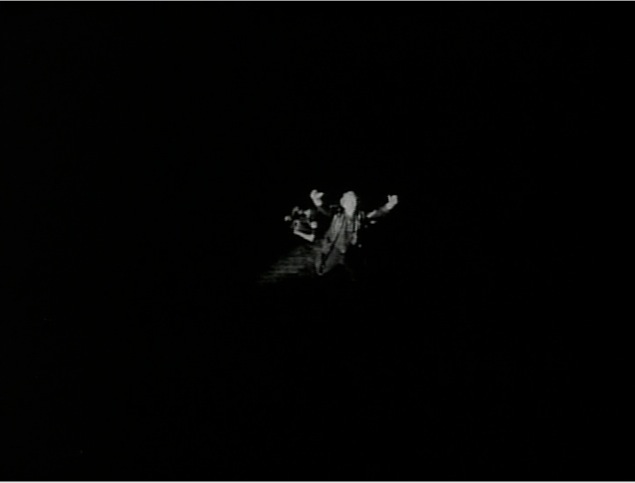 In the television version, the apparition is shown to be Agnes, in a white angelic costume, suspended in a black sky. The effect is highly striking, and accentuated by the cut away from the mountain peaks (which are not shown again) to the figure being combined with the sound of the avalanche rumble being completely stopped and being replaced with no sound other than Agnes’ voice. The end credits are shown against a background of darkness and the sound of howling winds. Hamlett perceives theatricality here as being a quality of liveness and unadornment, the addition of effects to convey mysteriousness making the performance less spontaneous and more clearly mediated. An opposing view of this scene would see the lack of mist and luminescence in the realisation of the ghost as serving to focus the audience’s attention onto the meaning of Agnes’ reappearance to Brand at this stage of the play, offering little in the way of visual distraction. Patrick McGoohan’s performance as Brand is played at a tenor that is unfamiliar in subsequent television drama. This intensity of performance is evident in both his speech and appearance. When Brand speaks, the impression made is animalistic; the voice both growls and wavers and sometimes appears to yelp at points of rhetorical conclusion, McGoohan often speaks much faster than would be effective in any conversation and lines of speech suddenly jump into higher volume and more forceful emphasis in a jolting fashion. The facial expressions that McGoohan uses are as striking and defined as the speech that he uses; sudden frowns and settings of the mouth and jaw. Perhaps the most striking aspect of this animated facial physicality is the way that McGoohan uses his eyes, rarely appearing to make direct eye contact with other characters but flickering his eyes aside, only looking at his wife, and even them quickly looking away. Whilst it is true that McGoohan’s performance bears little affinity with the ‘aesthetic of detail’ that John Caughie describes as constituting successful television acting (‘What do Actors do when they Act?’, British Television Drama: Past, Present & Future, Bignell, Lacey & MacMurraugh-Kavanagh, eds., 2000, p.167), it is also not quite the form of early television acting described by Caughie as ’emotional signalling’, performed with a degree of physical animation and vocal emphasis that might suit a theatrical performance intended to be recognisable to the back row of a gallery identified as being used by Peter Cushing as Winston Smith in Nineteen Eighty Four (BBC, 1954) (Television Drama: Realism, Modernism & British Culture, 2000). 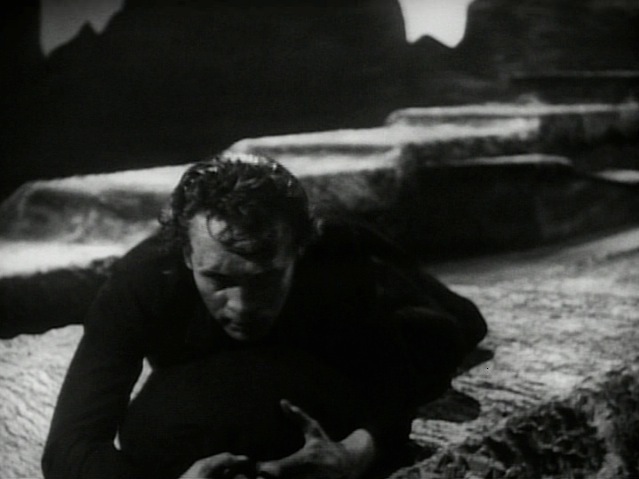 In that performance, it is clear what the emotions being signalled by Cushing are: fear and oppression. McGoohan’s interpretation of Brand is, for all its force and volume, in part defined by concealment of signalled emotions. The way in which the character rarely looks at those characters that he is addressing, and uses a strange vocal register, could be said to be befitting for an epic verse play that Ibsen did not write for performance. The effect that McGoohan’s lack of conventional responsiveness to fellow performers in Brand creates is one of a character in torturous judgement upon himself, in soliloquising conversation with God more than with his fellow mortal humans. McGoohan’s style of acting is not the only one used amongst the cast of Brand. 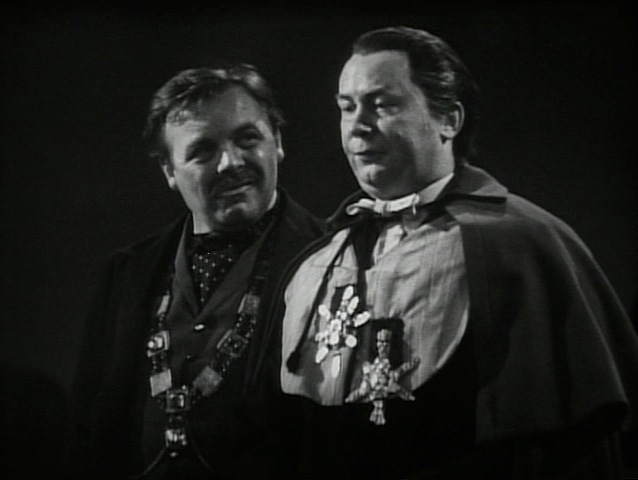 The performances of Peter Sallis, doubling as the Doctor and the Provost, and Patrick Wymark as the Mayor are of a similar, comparatively subtle, tenor to that of Andre Morrell’s appearance in 1984, praised by John Caughie as being more successfully televisual than other performances in the same production (Televsion Drama, 2000, pp. 48-49). The speaking style of both actors is much quieter and more naturalistic, using conversational inflections and they use slight facial mannerisms in contrast to Brand’s agitation. In Elliott’s production the mayor is given a prop that is not specified by Ibsen, resulting in ‘business’ with a cigar. This contrast of registers of acting between performers is dictated by Ibsen’s scenes, rather than by the performers’ decisions. In the 2003 RSC production the theatre audience received the scenes featuring these characters most responsively because of their comparative quiet and lack of rhetoric. The Doctor, Provost and Mayor are all worldly characters with pragmatic concerns whose dialogue displays a political ability to manipulate the actions of the listener they are talking to, even of a fervent figure like Brand. The existence of these scenes, with their more naturalistically realised characters and concerns, alters and relaxes the rhythm of the play (although the Doctor brings tidings of death and foreboding) and even, in the Mayor, creates opportunities for humour. The 1959 production is the only occasion that Brand has been performed on British television, and it is hard to see how such a character could be portrayed in a quiet way, a point made by Peter Sallis when he says that McGoohan’s approach was the only possible interpretation for an actor playing the central role: ‘You can’t diminish Brand for the television camera’ (Serks, 2003). The BBC Audience Research Report for Brand shows that it played to a small minority of the television audience (8% as compared to 44% for the Play of the Week shown on ITV at the same time) (BBC WAC VR/59/471), a sample who appeared to respond positively, giving a reaction index of 62%. Responses of this sample were cool towards the source Ibsen play: ‘they described it as too deep, too difficult, to heavy and unrealistic and ‘positively depressing’ (BBC WAC VR/59/471), while the smaller proportion of the sample who reacted positively use terms like complex, sombre and grim. Reaction towards the production was more enthusiastic than that shown towards the play, with the acting commended (‘with rare exceptions, considered really splendid’), and appearing to be the chief attraction of the production (‘”It was the brilliant acting that made me watch this play”, commented a Clerk’) and especially McGoohan’s performance (‘his performance as Brand was variously described as “truly Oscar-winning”, strong, brilliant and powerful; he “did a terrific job in sustaining all that high emotion throughout the play”‘). 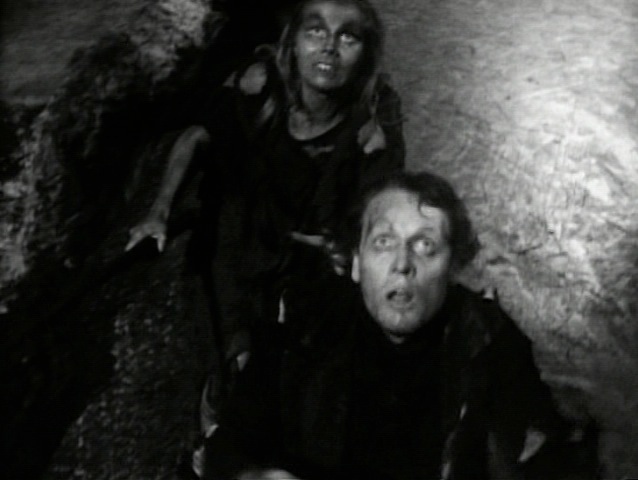 This positive commendation of McGoohan as Brand seems to indicate that, at this stage of television drama, audiences were prepared to accept, and be excited by, performance styles that took a different approach to Caughie’s ‘aesthetic of detail’, an aesthetic of forcefulness and demonstrative conviction in performance. The mentioning of performance being sustained and working inexorably in the Audience Research Report, would indicate that the adaptation had the same narrative effect upon the television audience as Meyer recollects it having upon the theatrical one. Where the source material made it suitable, in tragedies of expansive figures, audiences recognised highly theatrical performance of intensity and power as being a style that they could watch with approval and excitement. This article is an outcome of the research project Spaces of Television: Production, Site and Style, funded by the Arts & Humanities Research Council from 2010-14; © Billy Smart 2012. The framegrabs are taken from Brand in the Region 1 BBC Worldwide DVD box set The Henrik Ibsen Collection, available only in the USA and Canada; © BBC. 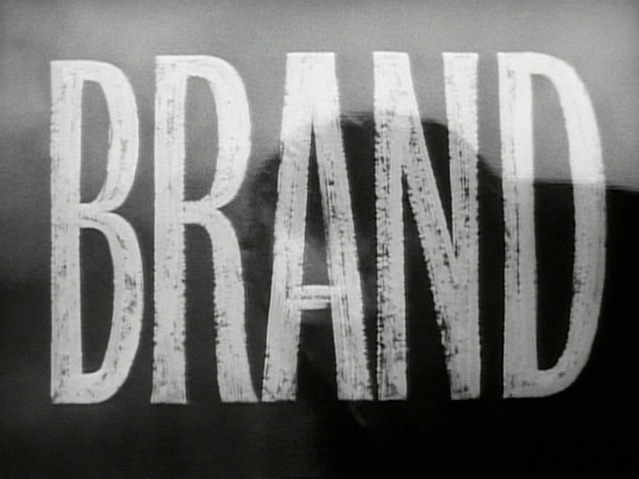 The second photograph of the stills gallery included in the 2003 Network DVD of Brand. The exterior locations specified in Brand are also ones that particularly suit representational realisation. Mountaintops and fjords do not come with the same expectation of realistic detail that an audience might hold for gardens or streets, for example. There’s an interesting and detailed discussion thread about Brand and this post on The Mausoleum Club here: http://www.mausoleumclubforum.org.uk/xmb/viewthread.php?tid=24263. Very detailed post on a difficult but rewarding production. Sadly the accompanying documentary has been taken down from YouTube, which is a shame. It’s interesting that there was such a small audience for it – do you know how it compares on that score with any other plays in that World Theatre series? Or indeed any of those in the earlier attempt at something similar under the title Television World Theatre? The audience is particularly tiny when you consider that there were still parts of the country that ITV had yet to reach, and while many of those areas were among the least populous, viewers in the areas that would be served by Anglia, Westward, Border, WWN, Grampian, Ulster and Channel would have only had Brand as an option, if they preferred television to radio. The weather wasn’t too good, either, so despite it being shown in the summer, I’d imagine a good proportion would have remained indoors. Perhaps they were enticed by Twenty Questions (Home Service) or Tuesday Tunetime (Light Programme) instead. 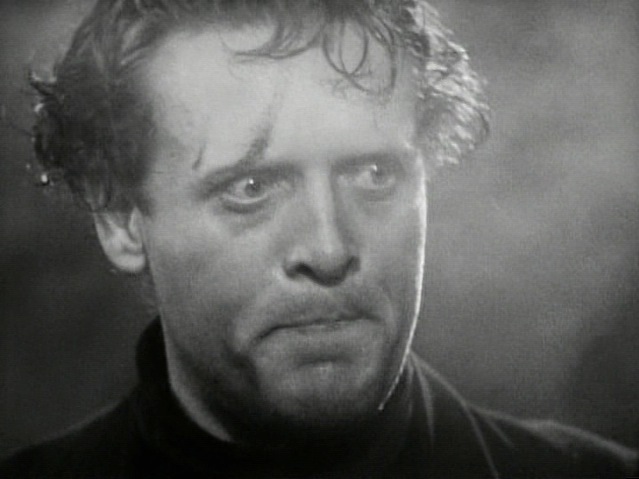 The Government Inspector would have been boosted by starring Tony Hancock as Hlestakov.